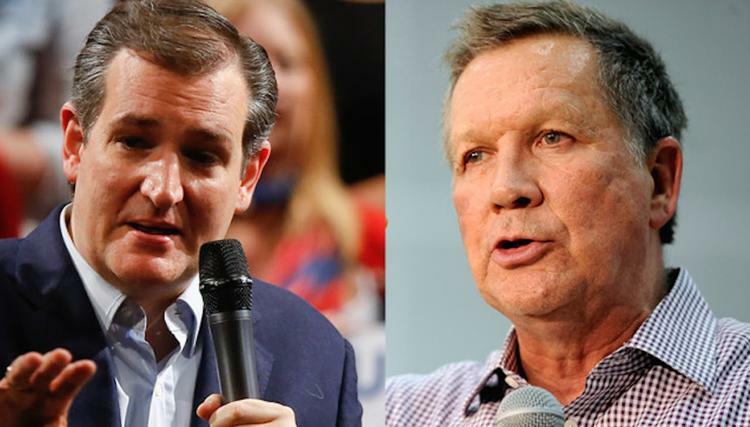 Are Cruz And Kasich smart enough to stop Trump? “Ted Cruz and John Kasich are doing their best to stop Donald Trump from winning the Republican nomination. One strategy that they came up with is to divvy up the remaining states, essentially telling voters to choose their new tag-team partner if they live in certain states. Ana Kasparian, John Iadarola (ThinkTank), and Jimmy Dore, hosts of The Young Turks, break it down. Tell us what you think in the comment section below. “It looked good on paper, but Sen. Ted Cruz’s (R-TX) and Ohio Gov. John Kasich’s fresh effort to unite Republican voters against frontrunner Donald Trump showed signs of splintering less than 24 hours after their alliance was first announced. Cruz’s and Kasich’s campaigns announced Sunday that they were joining forces in an effort to block Trump from securing the GOP nomination, with each candidate focusing on states he views his best chances for victory: Cruz in Indiana and Kasich in Oregon and New Mexico. Cruz trumpeted the newly-forged alliance on conservative talk radio, saying it was “very significant Kasich is pulling out of Indiana.” He also characterized the move as a simple shift in the allocation of resources, which he said made sense for both campaigns.